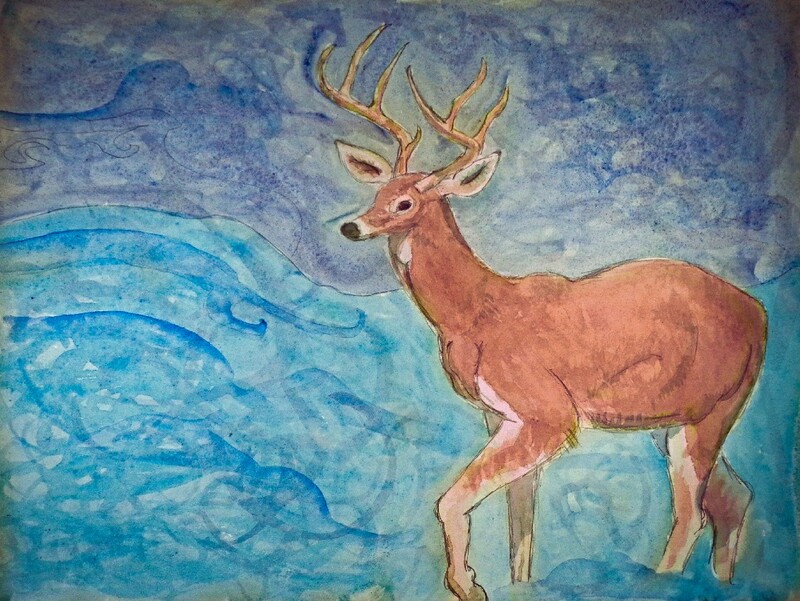 Winter Stag print is 8×10 on Rives printmaking paper. “… he saw a stag. Regal and lit by the moon. When he saw Robin, he didn’t dart away, but lowered his great antlered head, revealing a star filled sky with the effect of a cascade of celestial light showering down upon them. Silently Robin approached the deer and placed his hand on the muzzle of the noble beast. It was a singular moment in Robin’s life, as if the forest welcomed him and offered him protection. Once again, the stag bowed and with a lingering look from his shining black eye, he turned and disappeared.” from The New Adventures of Young Robin Hood.